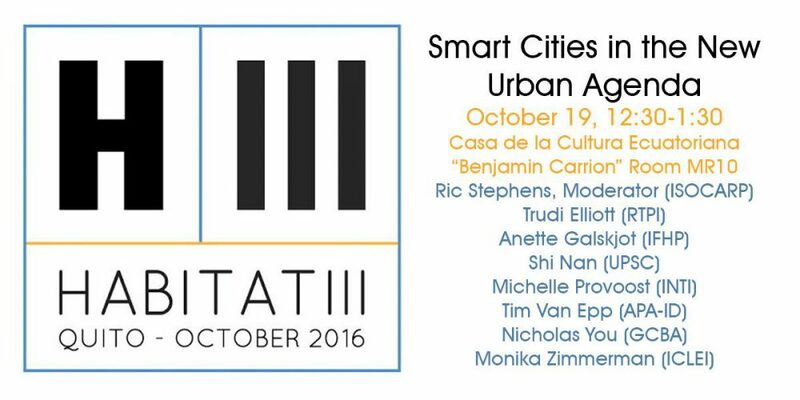 ISOCARP is organising a workshop on Smart Cities in the New Urban Agenda with the participation of leading global non-profit organisations during the Habitat 3 conference in Quito on the 19th October at 12:30. More info about the event soon! 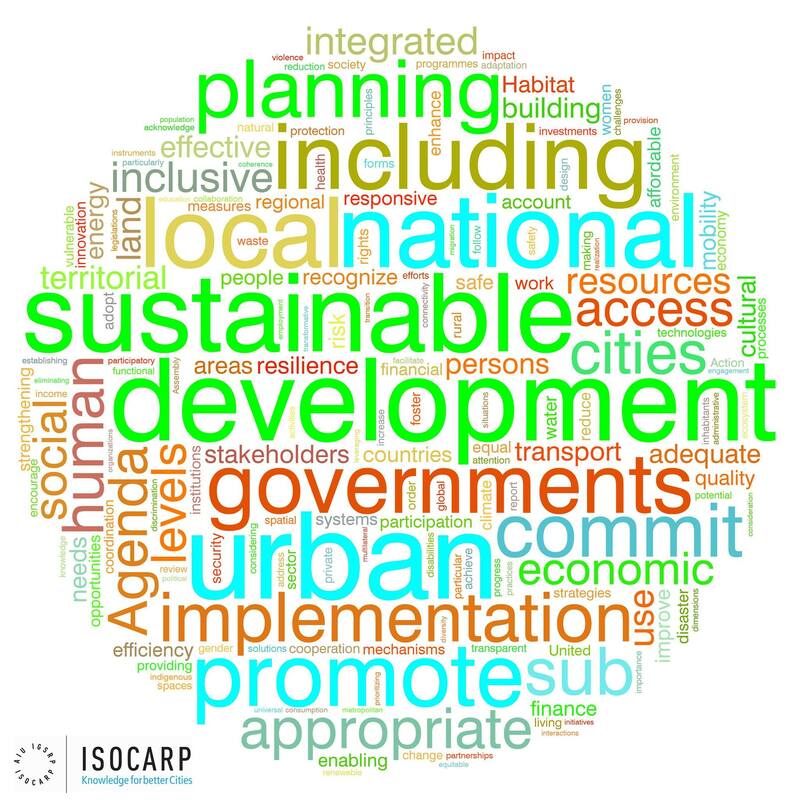 This ‘word cloud’ is composed of words used in the New Urban Agenda, in which the size of each word indicates its frequency. 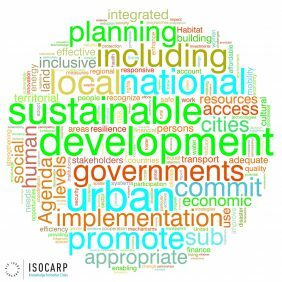 The entire document can be downloaded at https://habitat3.org/the-new-urban-agenda. Graphics by Ric Stephens.